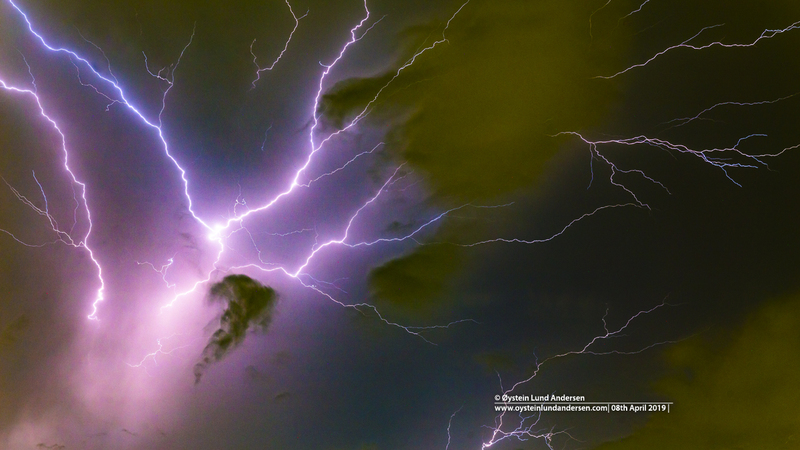 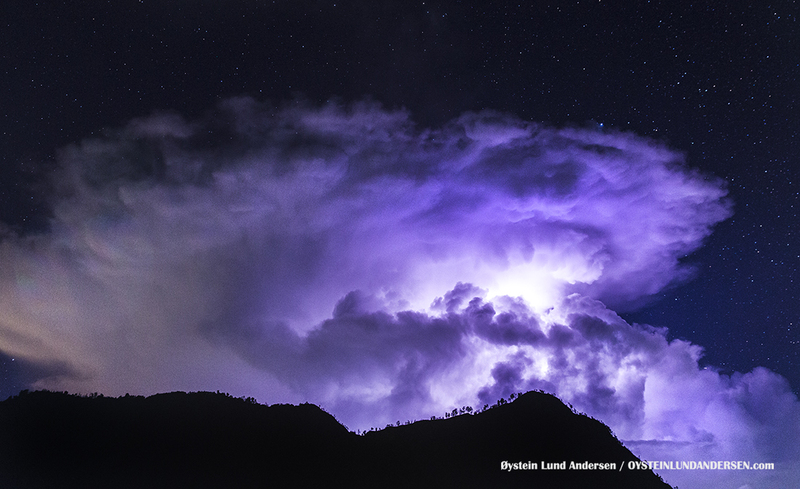 It was non-stop lightning produced by several cumulonimbus clouds on the (8th April 2019). 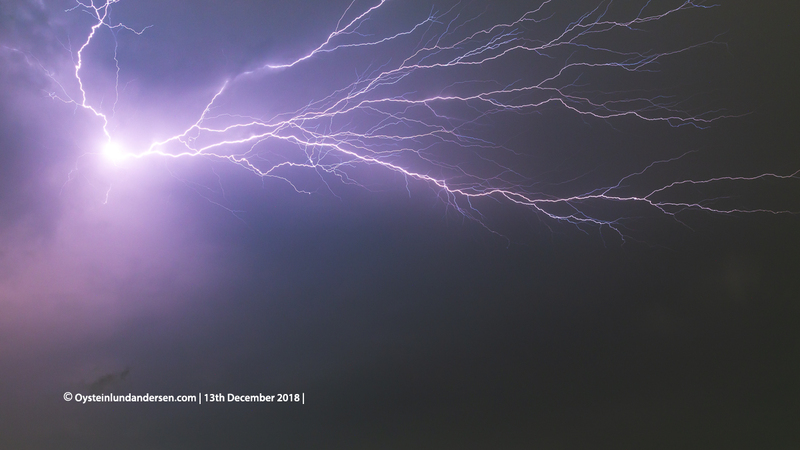 Most active lightning display I`ve seen so far in 2019. 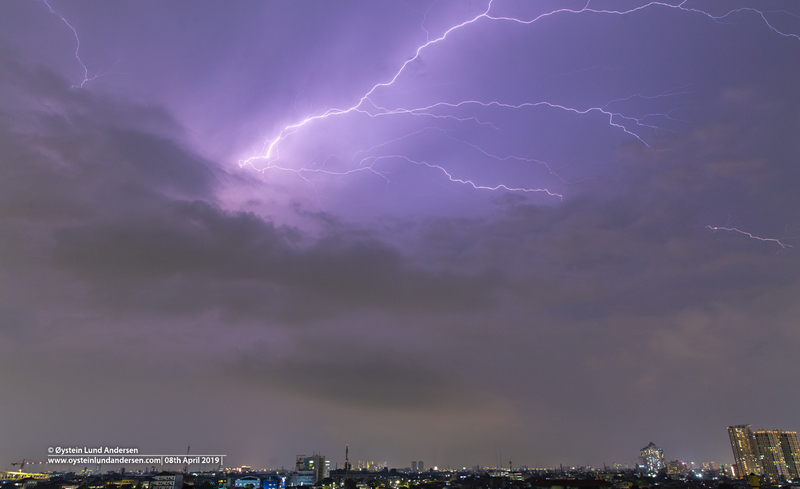 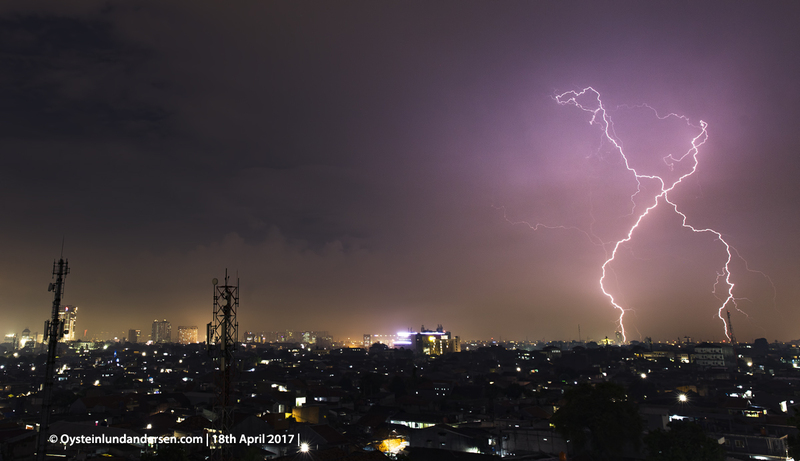 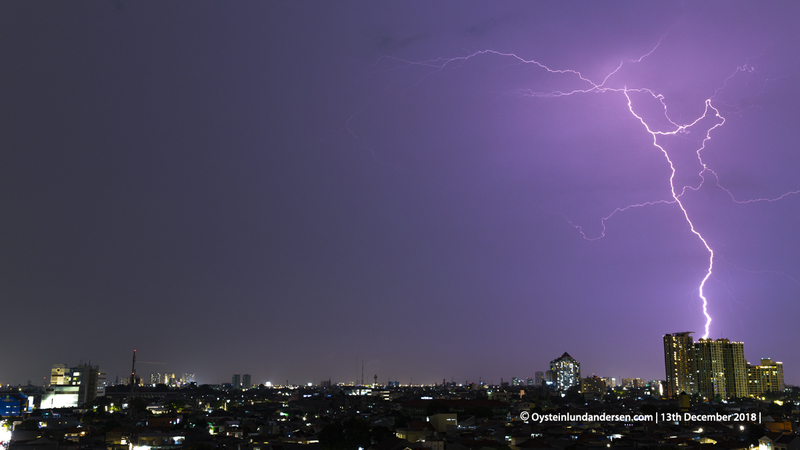 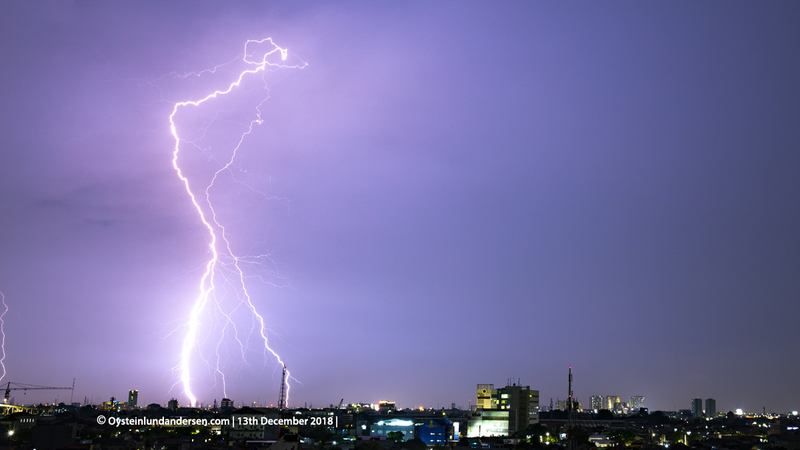 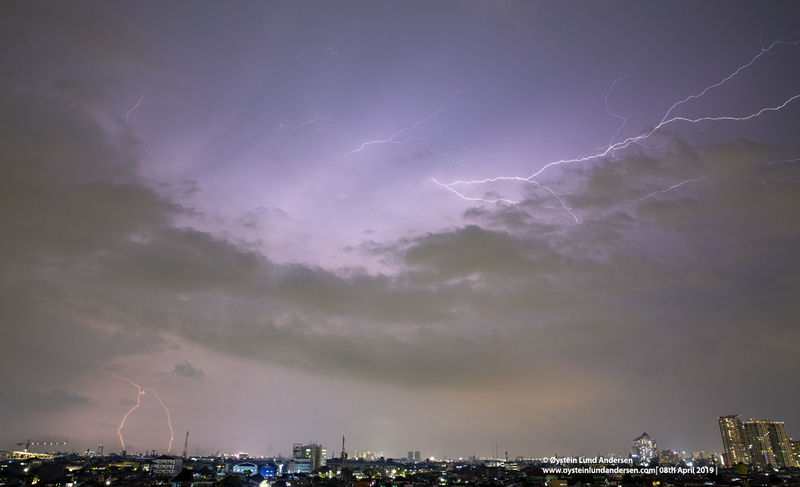 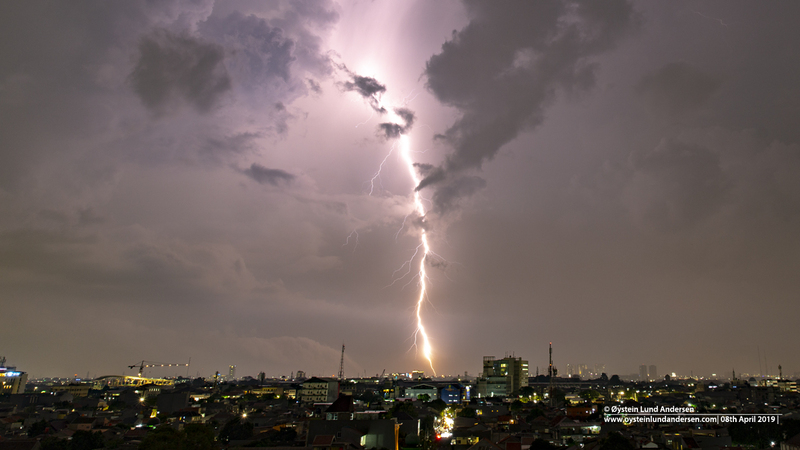 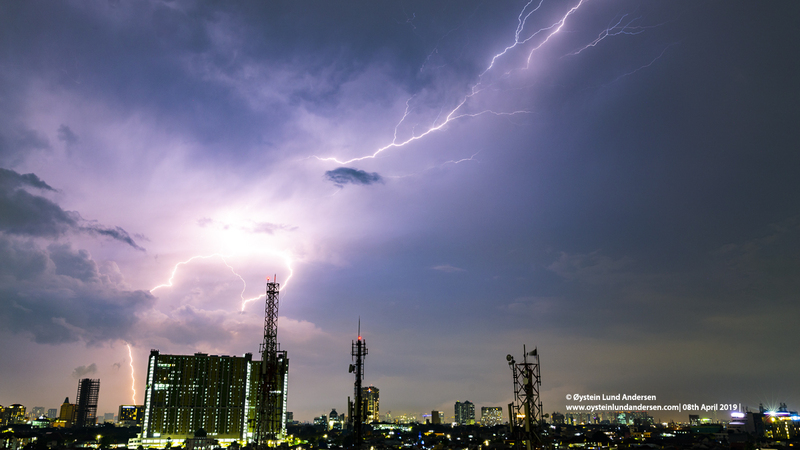 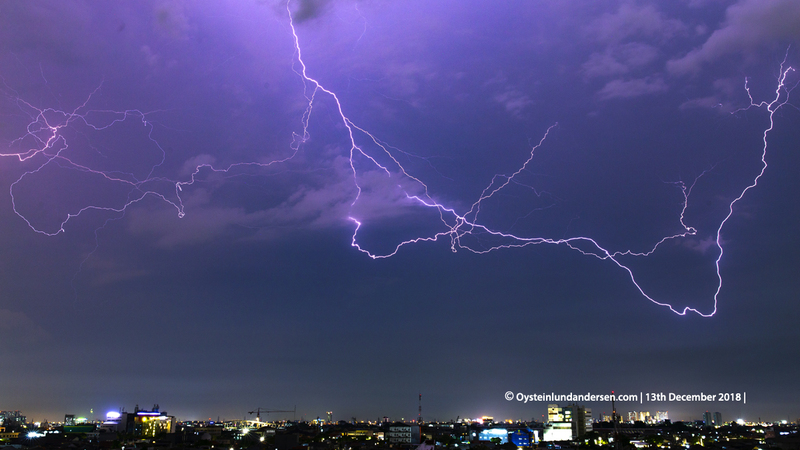 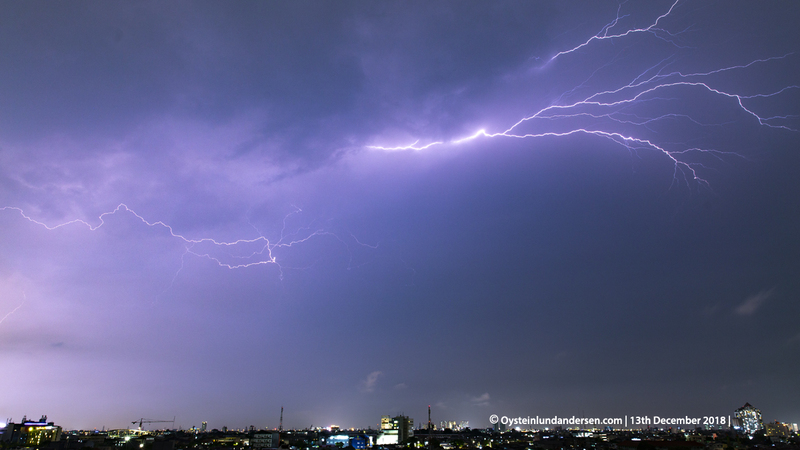 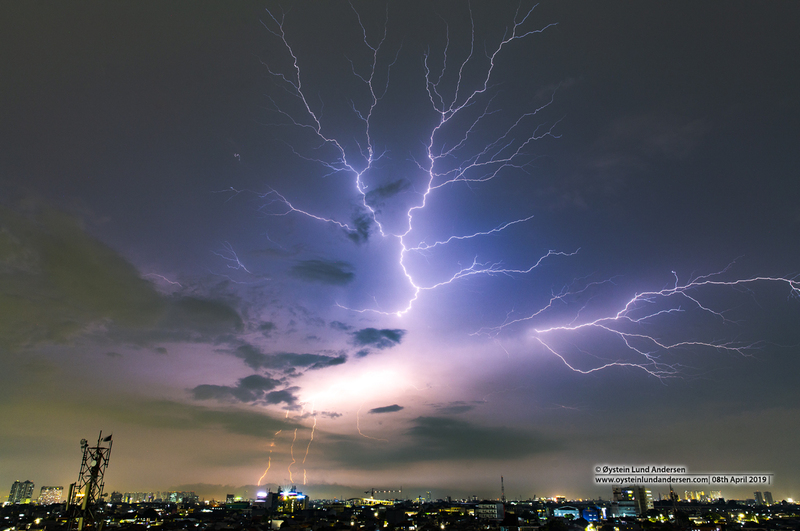 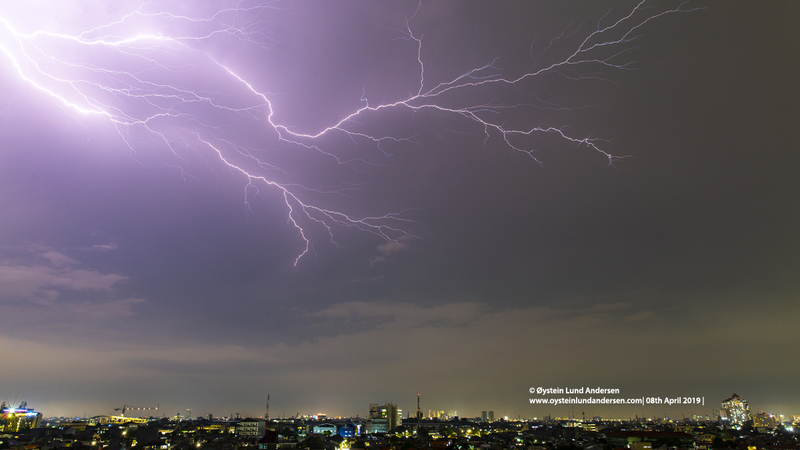 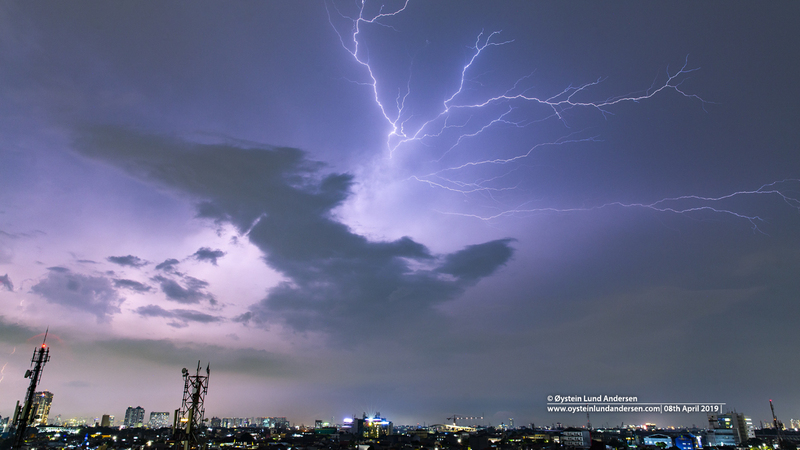 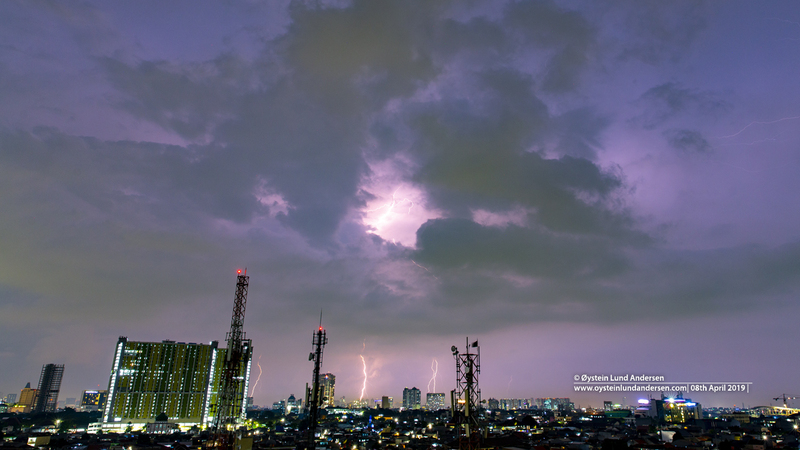 Lightning on the 26th March 2019 in Jakarta. 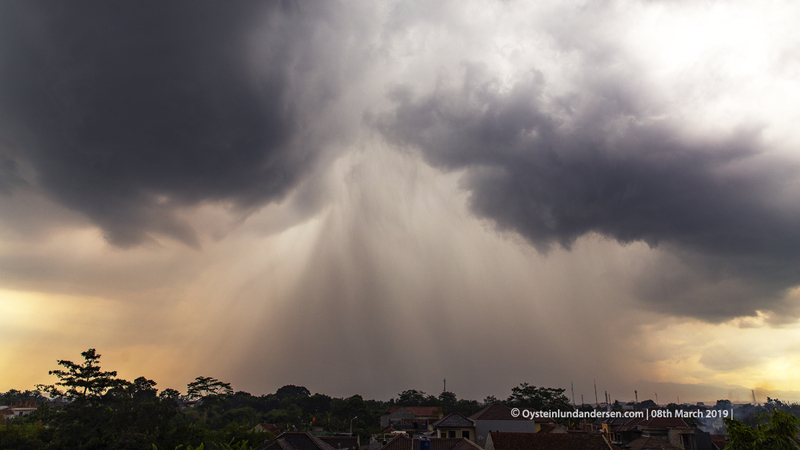 Microburst during thunderstorm in Tasikmalaya (West-Java) in March 2019. 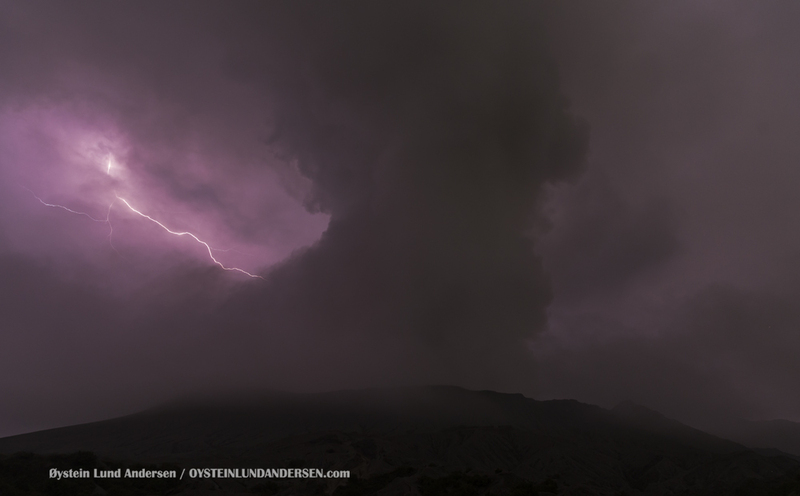 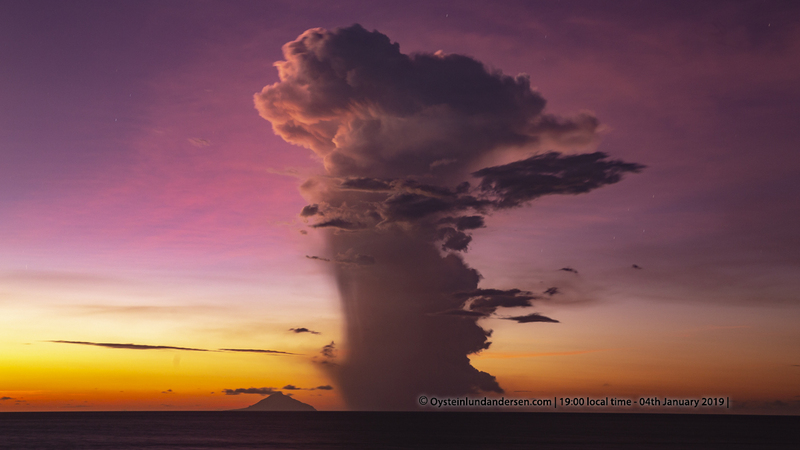 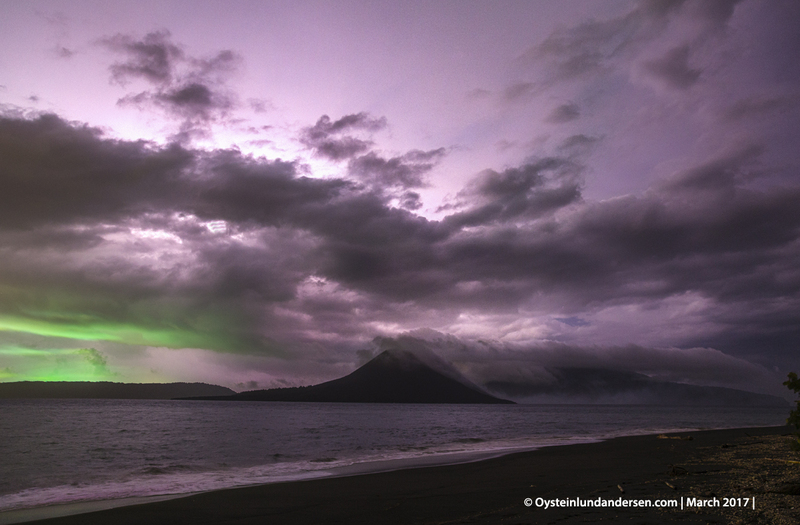 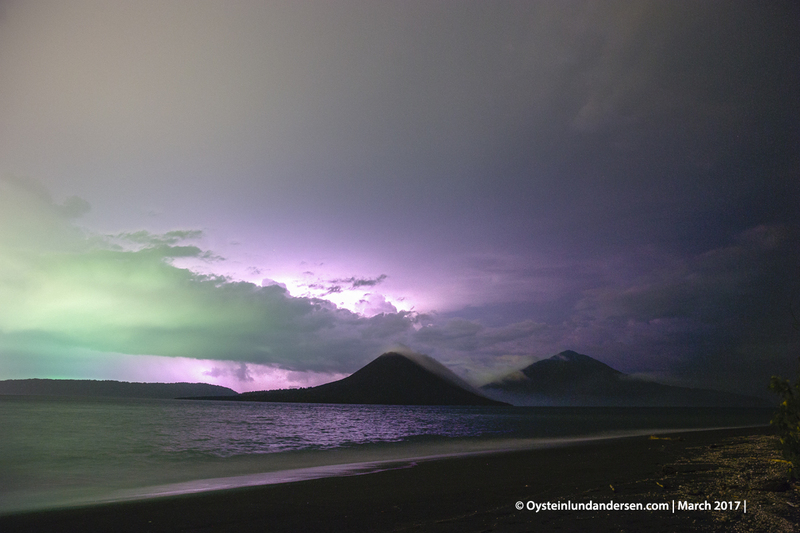 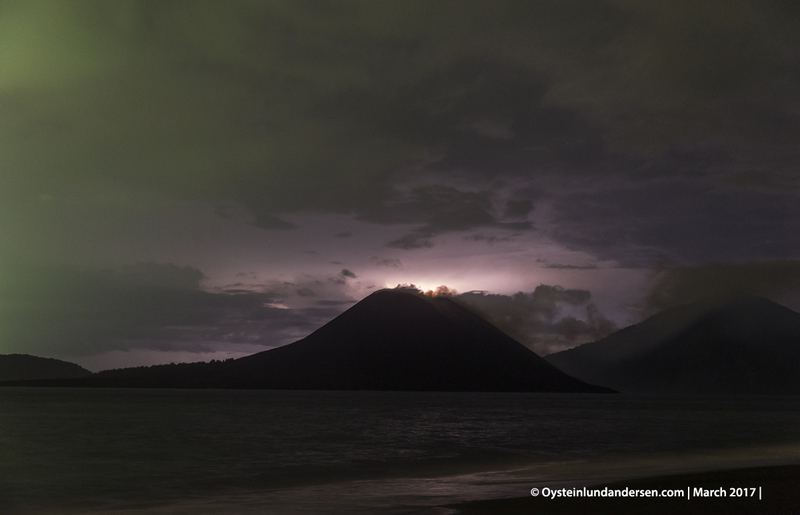 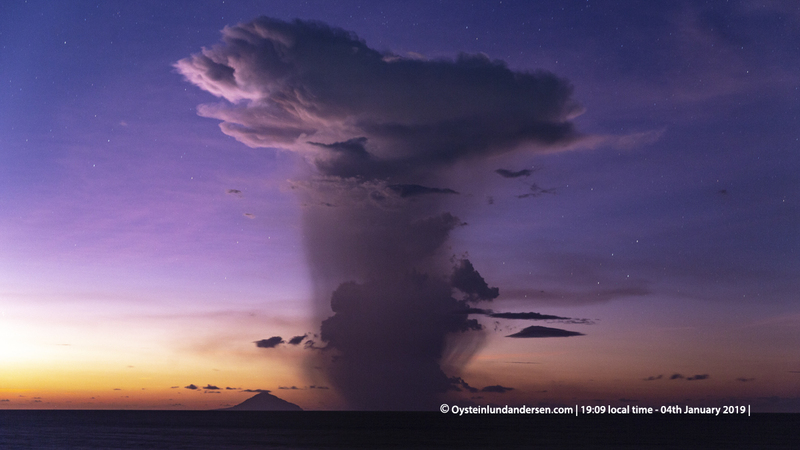 Thunderstorm produced by the eruption of Krakatau volcano on the 4th January 2019. 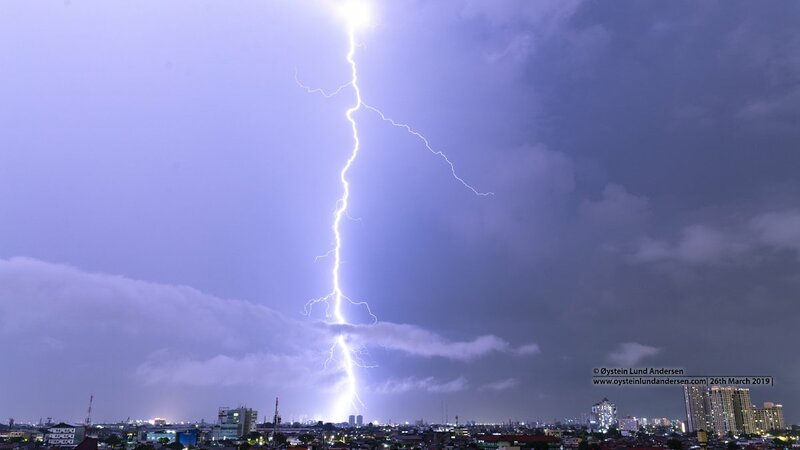 One of the more facinating lightning bolts ive seen. 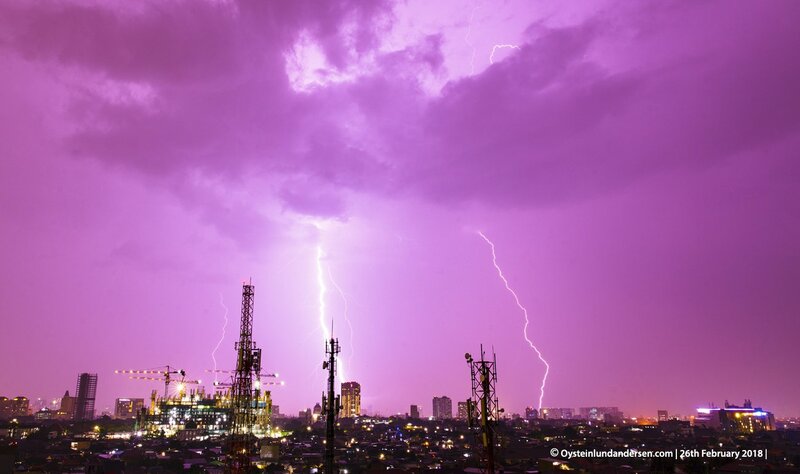 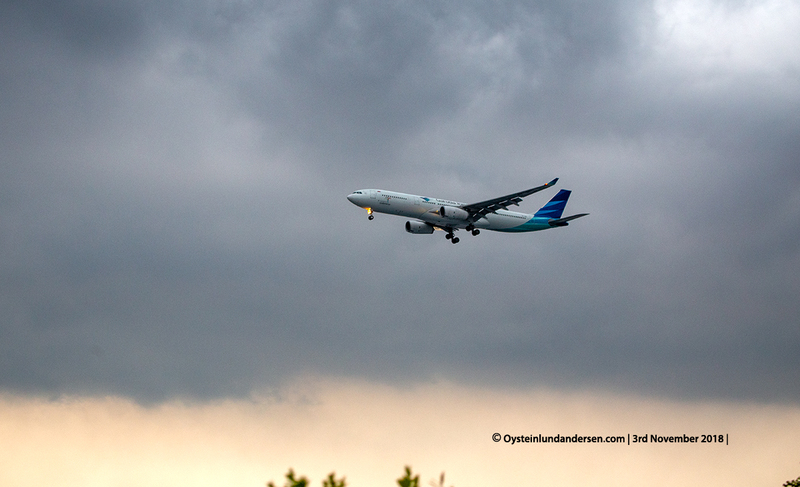 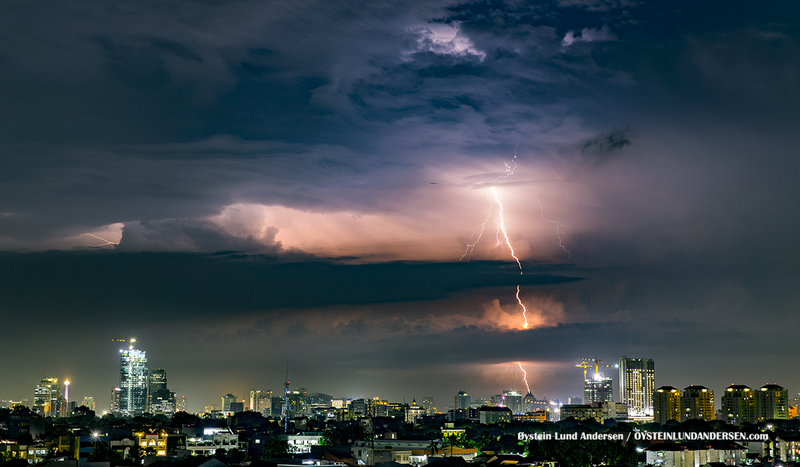 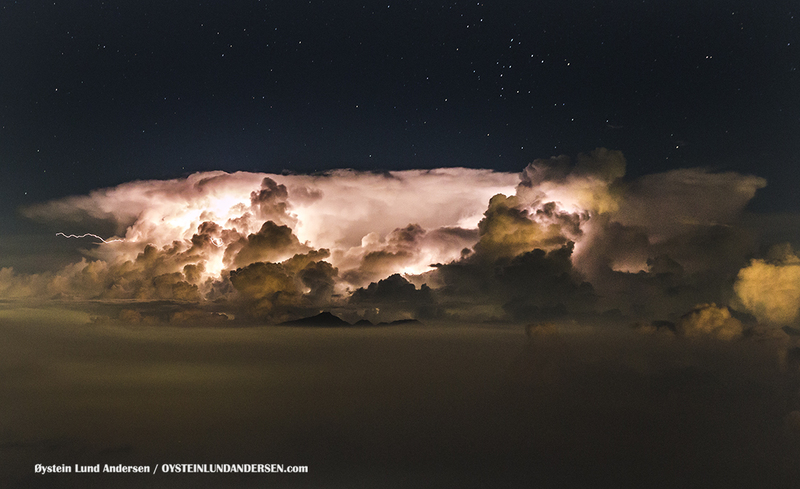 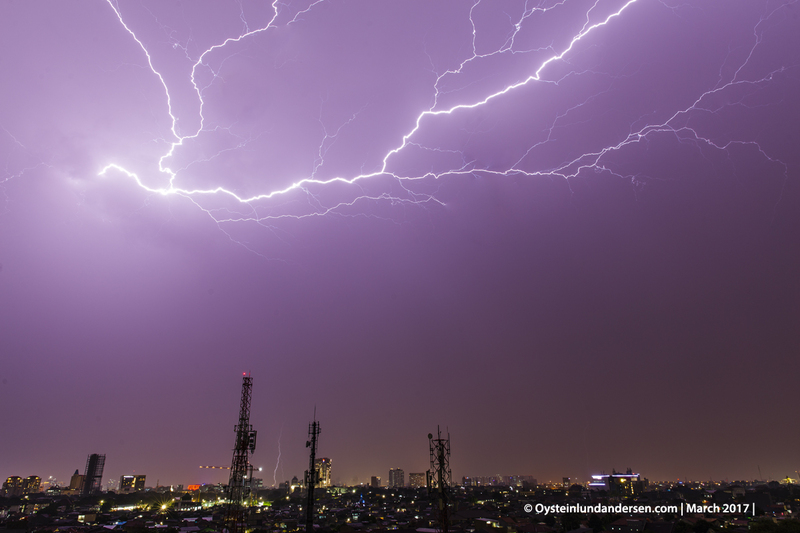 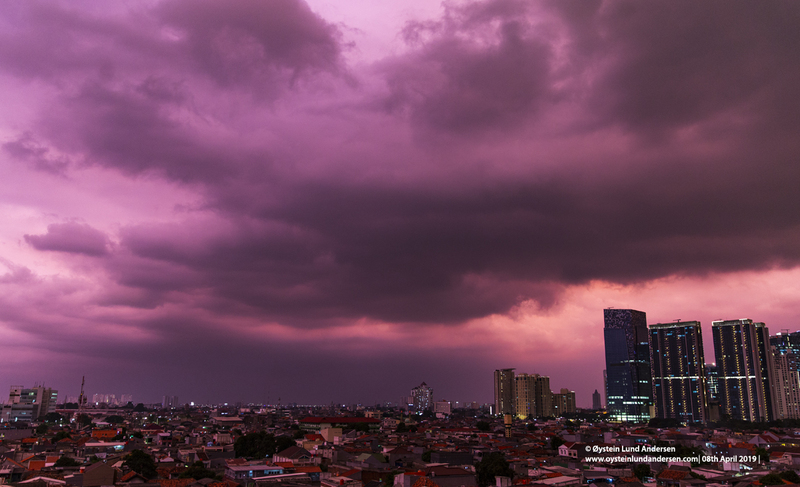 This photo was taken during the largest thunderstorm I witnessed in Jakarta in December 2018. 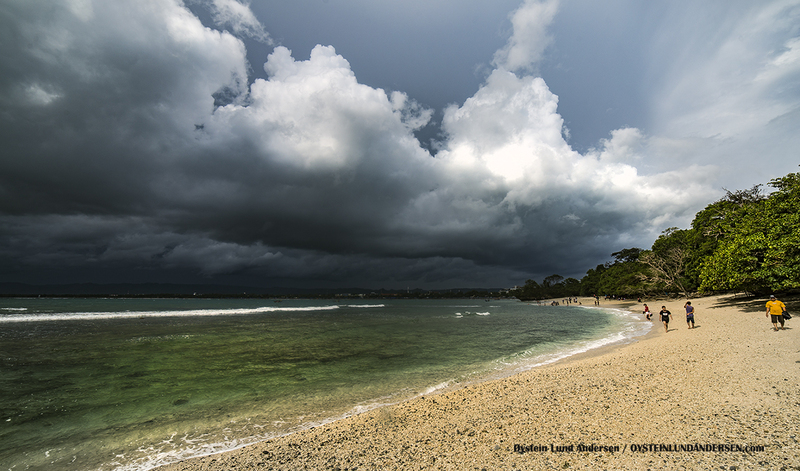 Thunderstorm rolling in during the afternoon in Pangandaran, West-Java. 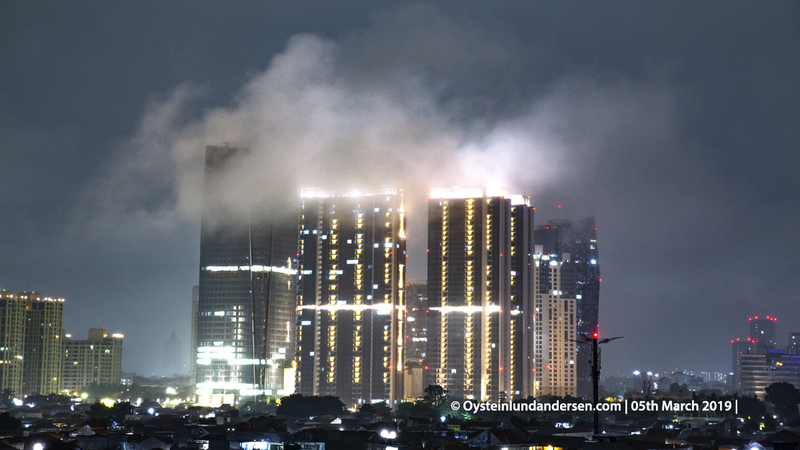 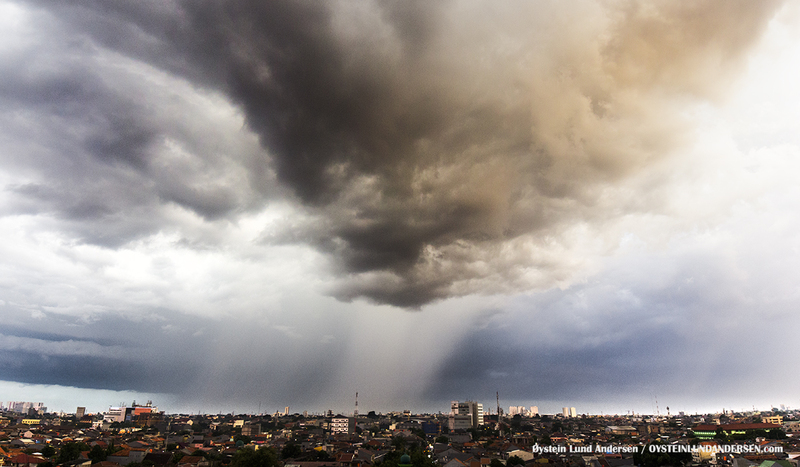 Thuderstorm passing over east-Jakarta in june 2016.